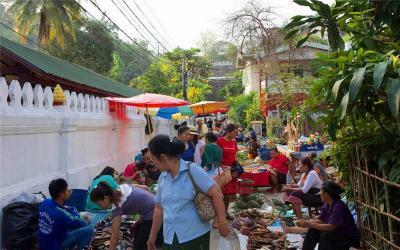 After breakfast you'll Phou Si Mountain and Wat Xieng Thong. 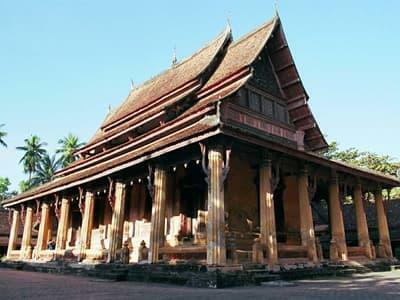 This 15th century temple represent the classical temple architecture of Luang Prabang. 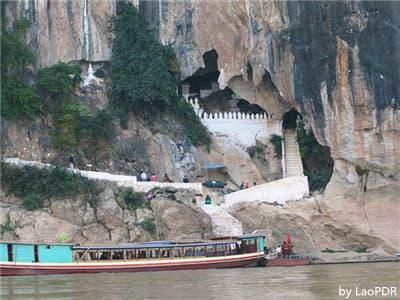 Then you'll board a cruise up the Mekong River to the mysterious Pak Ou Caves, which are crammed with thousands of gold lacquered Buddha statues of various shapes and sizes. On the way back to Luang Prabang we stop at a village where Saa-paper is produced. 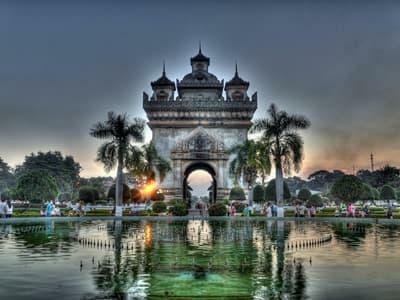 Check out from hotel, you will head to Phonsavanh, which is the capital city of Xieng Khuang Province, a province known for having been heavily bombed during the Indochina War. 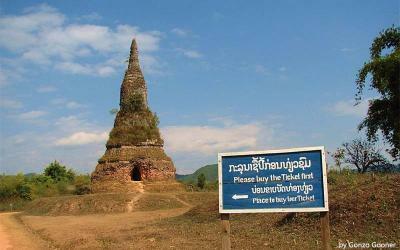 But it is also famous for its historic Plain of Jars. This journey takes about 8 hours, you will enjoy the scenic views enroute and visit one of the many local villages in the region, where you will observe the rural life of local people, including ethnic minorities such as Hmong people. Arrive in Phonsavanh,check into your hotel. Start the day with visit the Plain of Jars (Site I and Site II) which is a largest ancient cultural site in Laos.Plain of Jars Site I is one of the largest sites with over 300 jars. The site, also known as Site I is located about 15 km. Southwest of Phonsavanh. 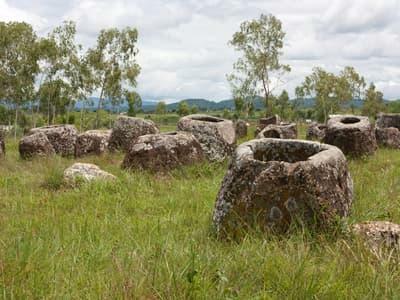 The large area surrounded by a fence is adjacent to a Laos army military base.Plain of Jars Site II or Hai Hin Phu Salato is located about 20 km. Southwest of Phonsavanh. The site contains 93 jars spread across two adjacent hills. 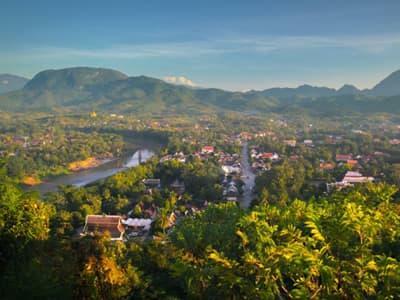 Continue to Muang Khoun, the former royal capital of the Xieng Khuang Region,where we'll explore relics of the secret war in Laos.Back to hotel in town. 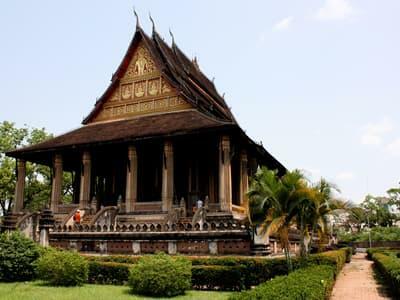 After visiting a local market to get an insight into the Lao rural life, you'll be escorted to Xieng Khouang Airport for your short flight to Vientiane. 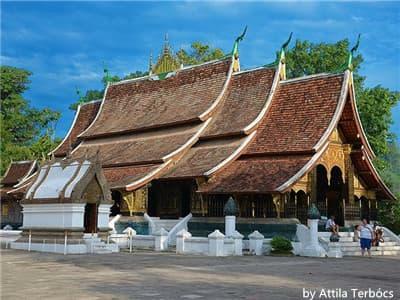 Upon arrival in the capital, you'll take an introductory afternoon tour around the city, starting with a visit to the oldest Buddha park - Wat Sisaket with thousands of tiny Buddha statues and the former royal temple Wat Pra kaew built as the Lao royal family's personal chapel and it houses the famous Emerald Buddha Image. 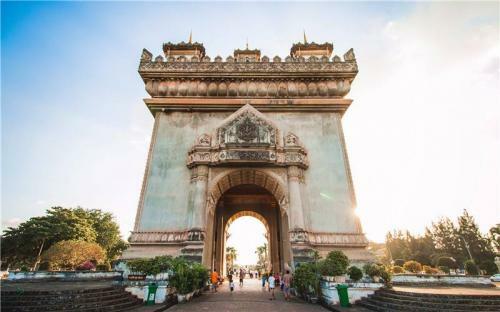 En route to the famous and sacred structure of That Luang Stupa, you will stop to take some photos of the imposing Patuxay Monument, well known as Vientiane's Arc De Triumph. 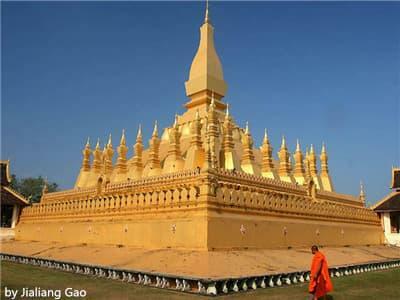 Depart in the early morning to enjoy a local boat ride up the Mekong River to the Pak Ou caves, which are filled with thousands of gold-lacquered Buddha statues, hidden from the looting Chinese Haw in times gone by. 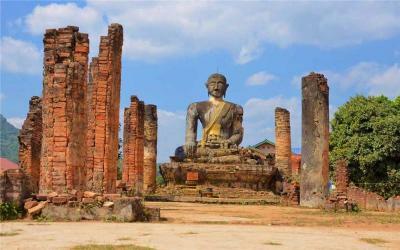 The statues are in various shapes and sizes ranging from a few centimetres to the size of a human. After the trip to the caves, continue to Kamu Eco Lodge on the banks of the river and you will arrive at lunch time. The lodge features 20 canvas tents covered by thatched roofs, each adapted to the local Lao style in harmony with its surrounds. Each tent has an private bathroom with shower, solar-powered warm water, toilet and electricity. In the afternoon you can enjoy this unique setting in a variety of ways. Options include rice planting, gold-panning, jungle walks to search for medicinal plants, traditional fishing, a local village visit, an archery contest, or simply relaxing and soaking up the atmosphere. Supper is served at the camp. Out guide , Mr Chan and our driver in Vientiane were the best. 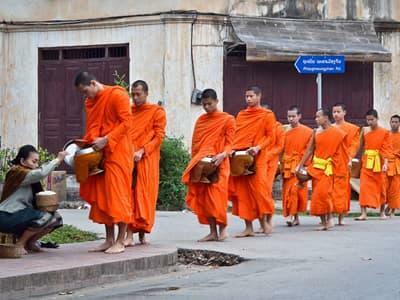 Mr Chan was well informed about all aspects of the temples and our driver Somah was a very good driver. They both spoke english well and helped make our trip a lot of fun. You won't be disappointed with this company. 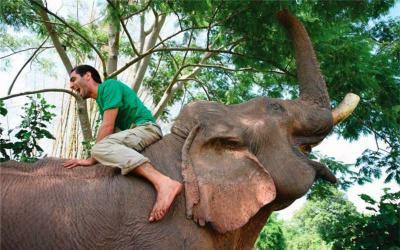 Spent 10 days with Mr. Jack, our guide, and Sambo, our driver. What’s an experience! It was an excellent experience. Mr. Jack was knowledgeable, amiable and friendly.